Leave no crevice uncleaned. 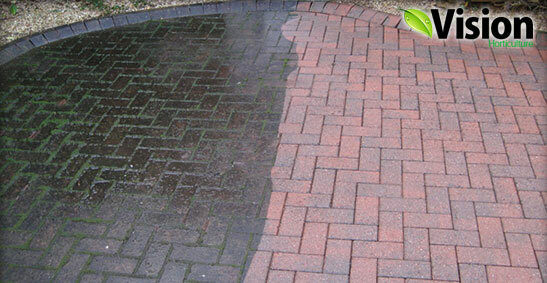 High pressure cleaning can bring new life to driveways, garages and various other exteriors in your property. Our team of North Shore pressure cleaning experts can breathe new life into your home and its surrounding pavements. No matter what area of your home needs pressure washing our experienced staff can restore life and beauty back into your home’s exterior surfaces, driveways and walkways. We can help you to get things clean and pristine again. Why not see for yourself? Call the team in St Ives, North Shore today! No matter what type of concrete or brick surface your driveways and pathways are made from, our pressure cleaning services can make them look like brand-new again. From sandstone and flat concrete, to brickwork and sprayed concrete surfaces, our high pressure washing services can breathe new life back into the concrete areas that around your home or business. Our pressure washing services can beautify the exterior appearance of your home again. We specialise in cleaning the exteriors of houses and we’ve seen first-hand the amazing transformations that take place. High pressure water cleaning can wash out even the most stubborn of stains and dirt, and is suitable for all types of surfaces such as rendered cement, normal brickwork, roofs tiles, and many other surfaces on or around your home. This makes it a great option for a number of properties. Many homeowners are unaware of the amazing beautifying effects that pressure washing can have on their timber decking and fences, and the impact can drastically improve the appearance and the value of your home. Our team can make your old fences and dirty outdoor decking area look like brand-new again by simply giving them a thorough clean with our powerful pressure washing equipment. Get in touch with us on 0401 957 057 if you have any questions about our services. Garage floors are notorious for being heavily stained with oil and our pressure cleaners can easily make concrete garage floors look like new. We also provide concrete pool surround cleaning for homes in the Upper North Shore area which makes pool areas safer and less slippery. We are North Sydney’s preferred choice for garden maintenance, tree lopping and high pressure water cleaning. Trust in a team that puts in 100%, trust Vision Horticulture. Our team is made up of experienced, passionate professionals with varying experience in landscape design and horticulture knowledge, allowing us to provide guidance and recommendations for your garden and outdoor space, commercial or residential. We’ve built a reputation in the industry, whether it’s the once-off pressure washing or regular gardening and upkeep. If you would like to enlist our services, or have any enquiries about our high pressure cleaning service in St Ives and the Upper North Shore, get in touch with us on 0401 957 057.